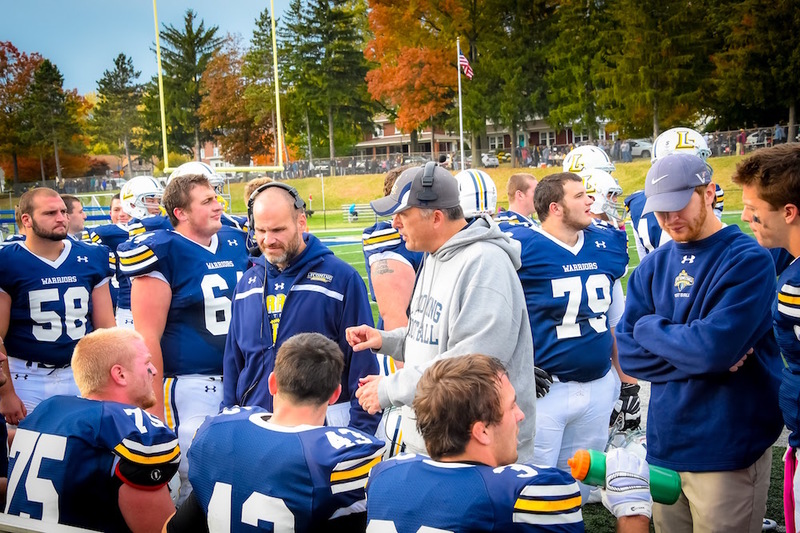 WILLIAMSPORT, Pa. - With back-to-back wins under its belt, the Lycoming College football team will look to get back to the .500 mark when it hosts FDU-Florham in Middle Atlantic Conference action on Saturday, Oct. 7, as part of Homecoming & Family Weekend at David Person Field. The Warriors (2-3 overall, 2-2 MAC) moved into a tie for fifth in the MAC with a 34-7 win over Wilkes on Sept. 30. Senior Chase Williams led the way, as he threw for 270 yards and two touchdowns on 20-of-33 passing and rushed for a career-high 109 yards and a touchdown on 12 carries. The Devils (1-4 overall, 0-4 MAC) fell to ninth-ranked Delaware Valley, 60-7, in their latest outing. • The Warriors can win their third straight game against FDU-Florham, the team's longest streak since a three-game stint from Nov. 1-15, 2014. • Senior Chase Williams' 379 yards of total offense against Wilkes is seventh most in school history. • Williams has thrown for 607 yards and five touchdowns in the last two games. • Sophomore Jamie Fisher leads the MAC and is seventh in Division III with nine field goals made, which is also tied for sixth in program history. • Junior Sam Romanofsky is the first Warrior to have two sacks in back-to-back games since Ryan Yaple did it on Oct. 27-Nov. 3, 2007. • The Warriors have scored defensive touchdowns in back-to-back games for the first time since Oct. 1-8, 2011. With interception returns for touchdowns from both junior Ahmad Curtis and sophomore Trey Smith in back-to-back weeks, the Warrior defense has put points on the board in consecutive games for the first time since Oct. 1-8, 2011. Curtis intercepted a tipped pass and returned it 21 yards for a touchdown in the third quarter of Lycoming's 44-41 win over King's. The 6-1, 320-pounder was the first Warrior to post a pick-six since Tyler Smith had one against Wilkes on Sept. 19, 2015. Trey Smith followed with a 39-yard pick-six against Wilkes. The last time the Warriors had back-to-back weeks with defensive points Kabongo Bukasa had a 65-yard interception return and Ryan Fenningham had an eight-yard fumble recovery against Albright and Kody Flail had a 40-yard fumble recovery against King's. With four sacks in the last two games, junior Sam Romanofsky has moved into second in the MAC with 1.10 sacks per game. The Havertown, Pa., native has 5.5 sacks on the year, leaving him behind only Widener's Casey Kerchner's six sacks. Romanofsky had two assisted sacks and one solo effort against King's and two solo sacks in the same series against Wilkes, making him the first Warrior to have back-to-back two sack games since Athletics Hall of Famer Ryan Yaple '08 did it on Oct. 27-Nov. 3, 2007. Senior Chase Williams became the first player in school history to post back-to-back weeks with more than 350 yards of total offense, as he notched 406 yards against King's and 379 yards against Wilkes. 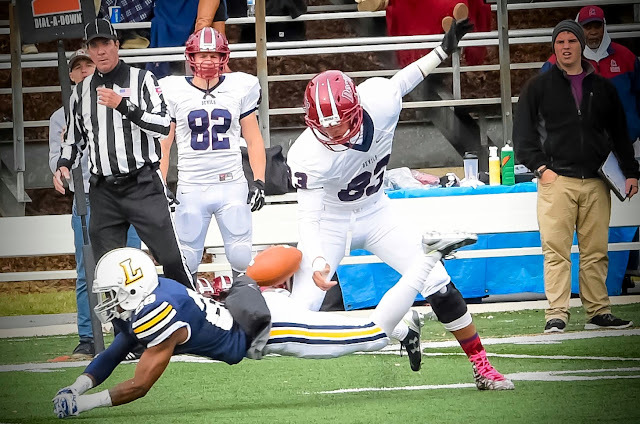 Williams entered the King's game averaging just 81.0 yards per game passing and 12.3 yards rushing before accounting for 406 of Lycoming's 492 yards and all four offensive touchdowns, including the game-winning touchdown run with 41.7 seconds left in a 44-41 win over King's. The senior finished the day with eight rushes on the ground for 69 yards and a touchdown. Through the air, Williams was 25-of-44 for 337 yards and three touchdowns. His 406 yards of total offense is the fifth-best performance in school history. He also finished 10th in school history with 25 completions and 12th with 337 yards passing. To follow that, Williams was just as efficient in a 34-7 win over Wilkes, when he finished 20-of-33 for 270 yards and two touchdowns passing and rushed 12 times for 109 yards and a touchdown. The 379 yards of total offense is seventh in program history. Sophomore Jamie Fisher stepped into the team's field goal kicking role and through half a season, he has been one of the best kickers in Division III. Although, he missed his first two field goals of the year against Wilkes, he also connected on two to move into seventh in Division III with an average of 1.8 per game. Against King's, he had a breakout performance, tying the school record of three made field goals in a game, connecting from 40, 25 and 36 yards. He also booted six touchbacks and averaged 62 yards on nine kickoffs. He is just the third kicker in school history to hit two 40-yard field goals in a season, joining Rusty Fricke (1984, 56, 52) and Porfirio Goncalves (1971, 46, 43).The Ridley, Pa., native needs just four more field goals to tie the school record of 13 set by John Phillips in 1990.